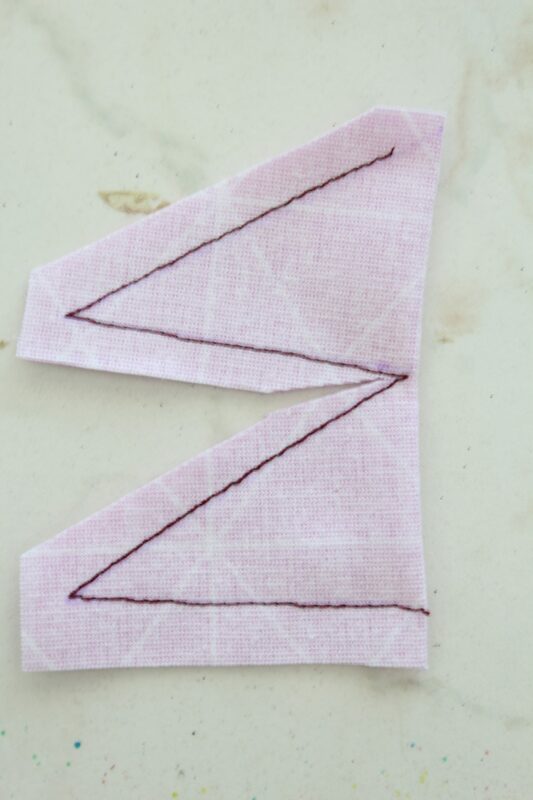 Learning clipping and notching seam allowances the correct way is crucial for a successful sewing project! 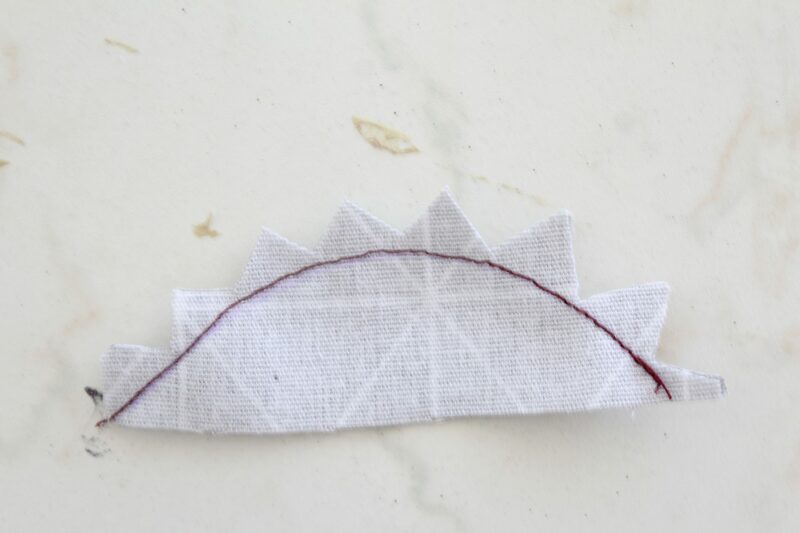 It not only removes bulk but helps the seams align perfectly, on any kind of shapes! 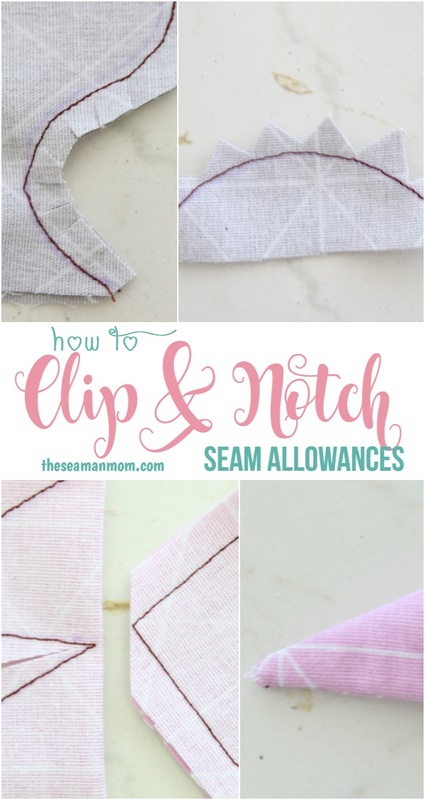 I have mentioned clipping and notching seam allowances for several times in my sewing tutorials I posted here. And if you ever purchased a sewing pattern with curves or corners, the instructions might have asked you to clip or notch seam allowances. 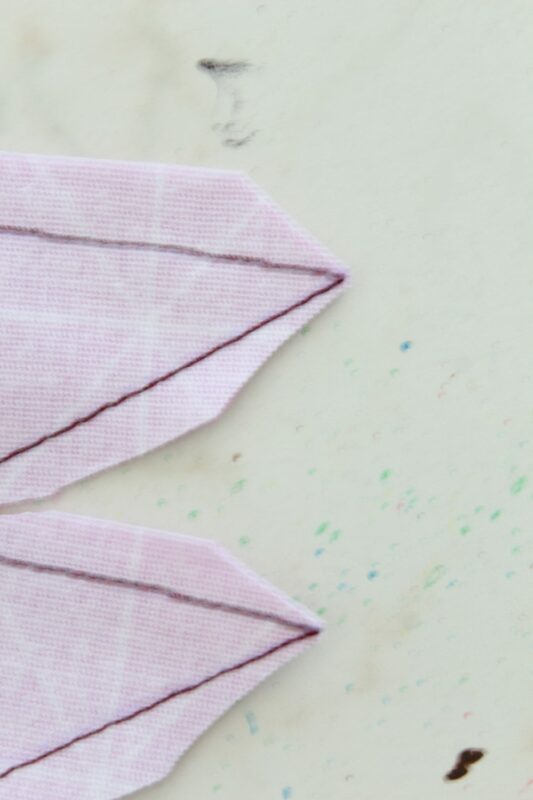 In this simple article I’ll show you how to trim seam allowances correctly, using clips and notches so you can never skip this important step again! Trimming seam allowances with clips and notches is crucial on curves and corners if you want to sew perfect curves and super neat corners. 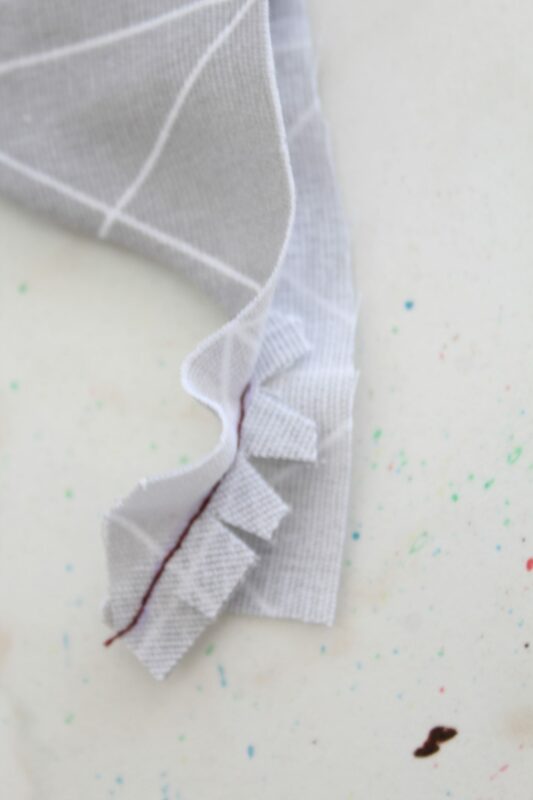 These little clips will help the seam to stretch enough to lay flat when you turn it right side out or reduce bulk where there’s too much fabric along the seam. The problem is to identify when you should clip your seam allowances. Well, not exactly a problem because after this tutorial, clipping and notching will seam like kids play, guaranteed! Trimming each is slightly different for two simple reasons: when the fabric is turned right side out, one will stretch while the other will gather, creating bulk. 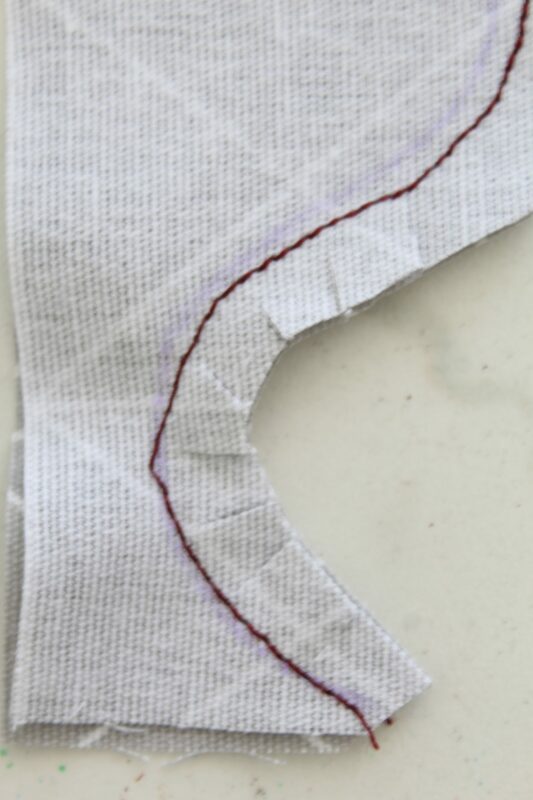 When the fabric is turned right side out, the seam in the inner corners will stretch a lot to about a 360°, so you need to cut a slit perpendicular to the seam, in a 45° angle, as pictured below. 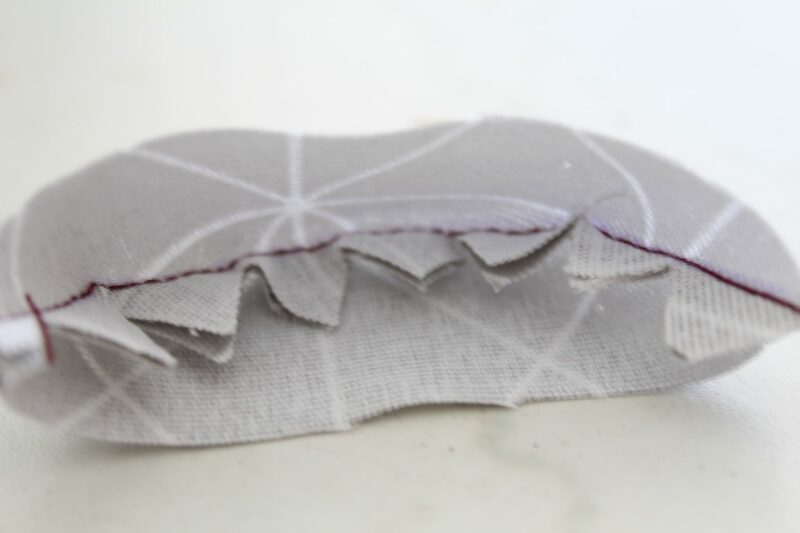 This will allow the fabric around the spot where you cut the slit to stretch enough so that the seam will align nicely once fabric is turned right side out. As mentioned above outer corners will also turn to about 360° when the fabric is turned right side out, thus creating bulk from so much fabric gathered in the corner. 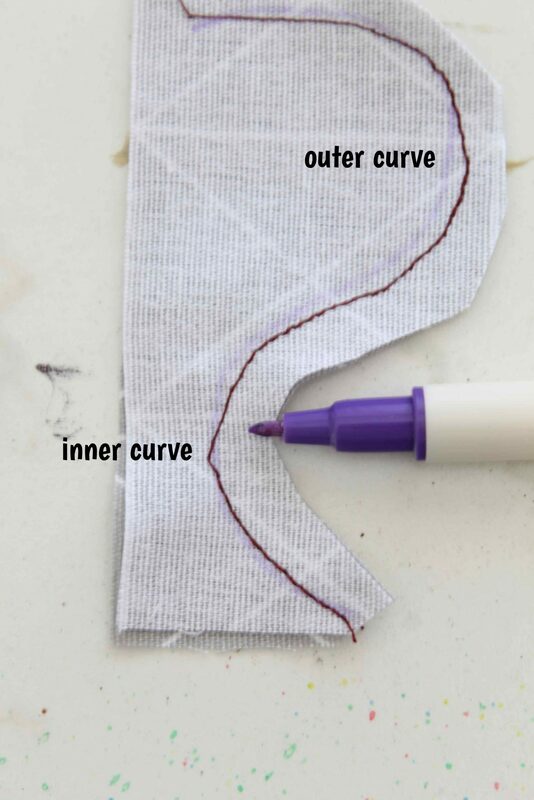 You need to get rid of that excess somehow and here’s the method I use to clip seam allowance on outer corners. 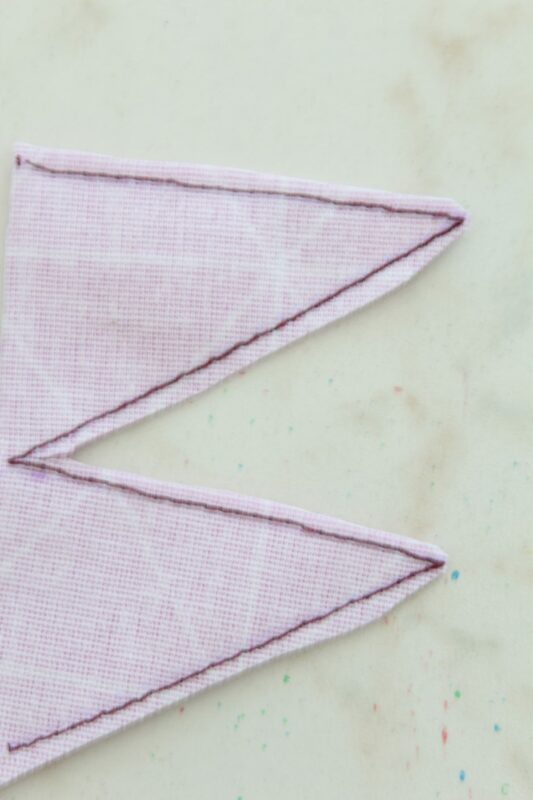 For pointy corners I also go one step further and trim the seam even more like this. 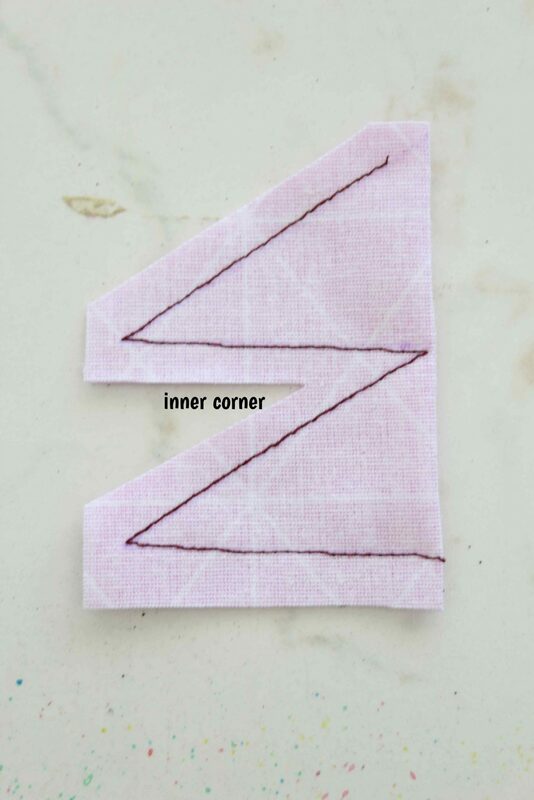 If the fabric is very thick or the corners are super pointy, I even trim the whole seam around the corners, on both outer and inner corners, just like this. 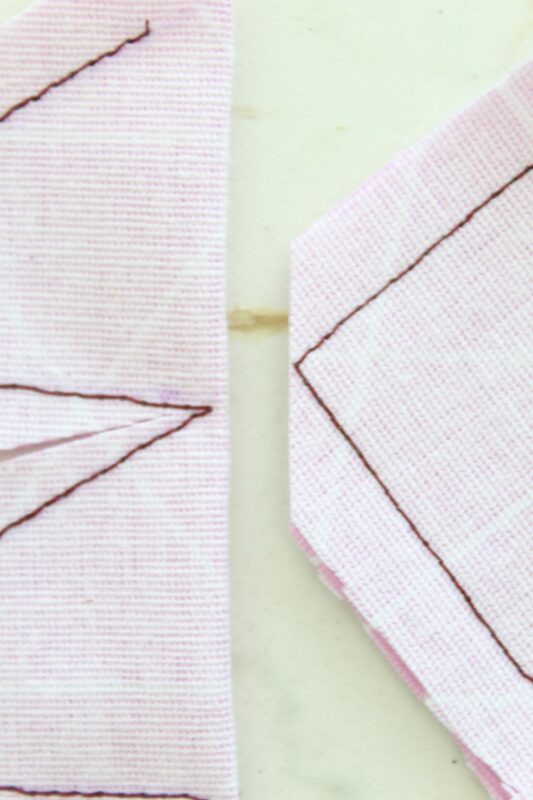 Clipping seam allowances require a lot of precision as the clipping needs to be done as close to the seam, without snipping through the seam, like below. You need a pair of scissors with sharp tips and that offer perfect control. Clipping and notching seam allowances on curves require two different methods too, because the curves are of two types: concave and convex (or as I call them inner and outer curves). 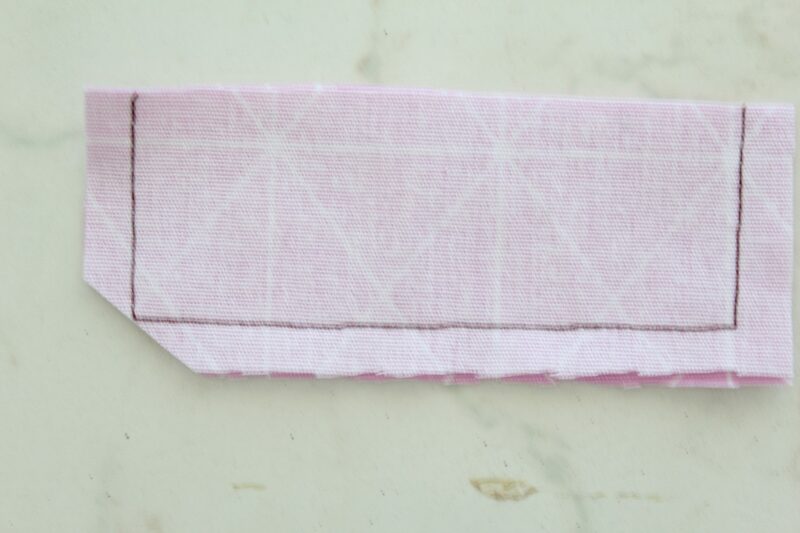 Same as the inner corners, the inner curves will stretch a lot (not as much as the inner corners though) and will also need the fabric in the seam to stretch with the seam line. 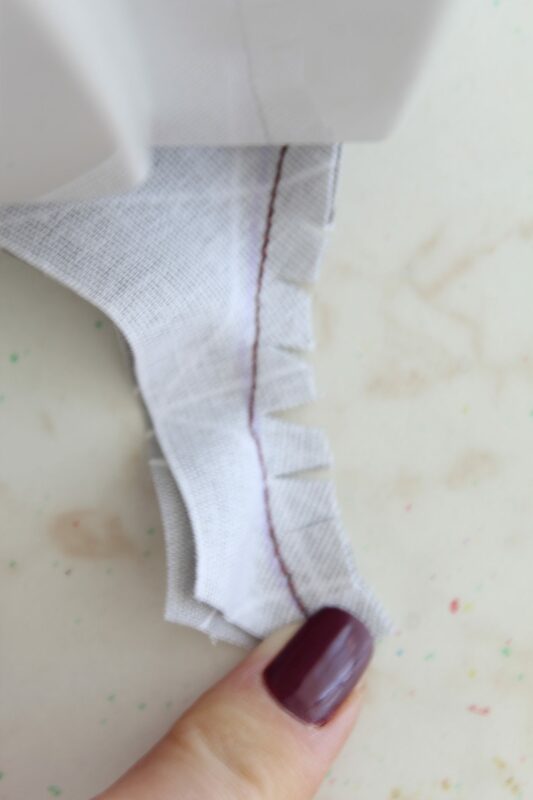 So you will need to snip the fabric a little, perpendicularly to the seam line, without clipping through the seam, like this. This is where the magic term “notch” comes into action! 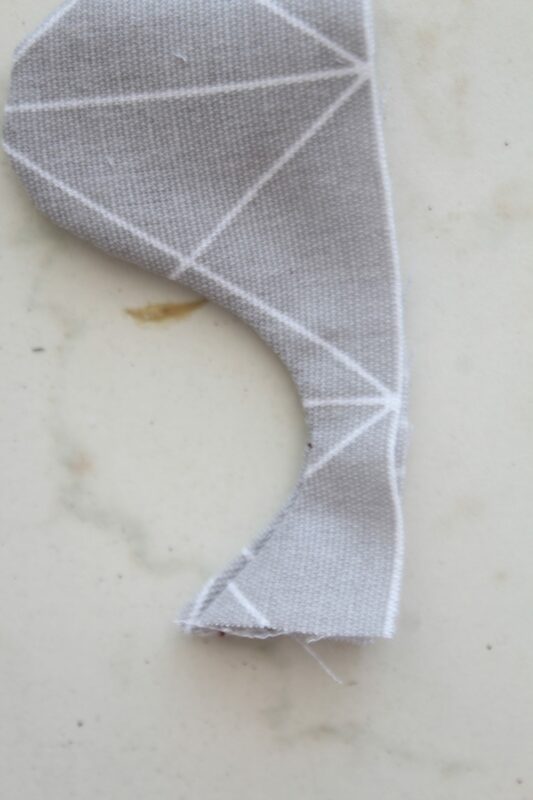 Clipping outer corners is never enough so you need to cut notches in the seam allowance, all around the curved area. 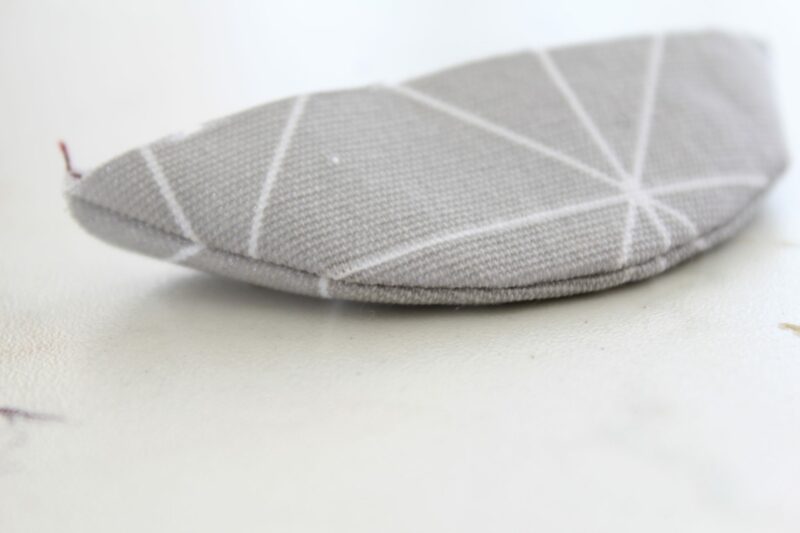 A notch is a V-shaped cut in the seam like this. 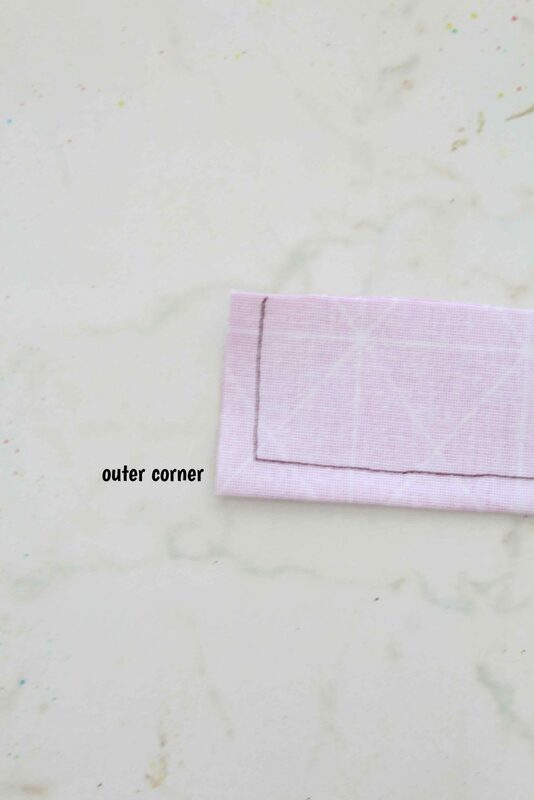 Outer corners create lots of bulk when the fabric is turned right side out, bulk that you will not be able to get rid of through stretching and pressing either. 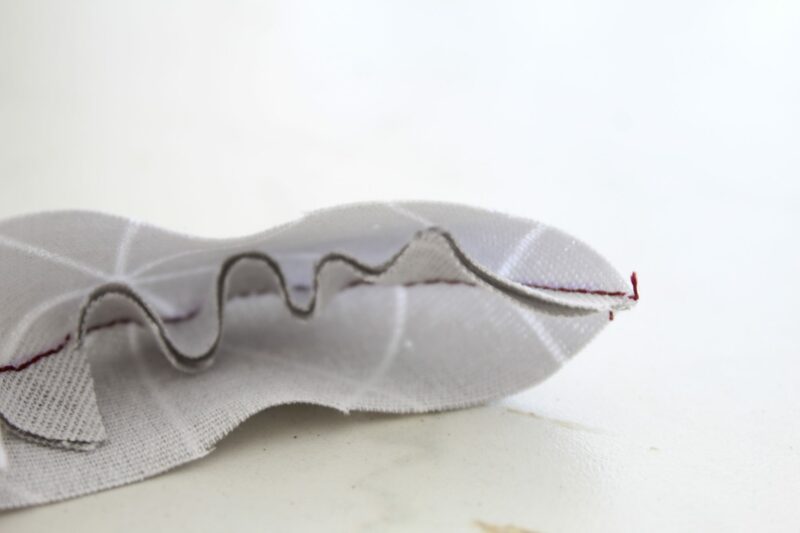 Even if you manage to mask it if you work with lightweight fabrics, the seam will never look perfectly neat. Here’s what happens if you don’t notch the seam allowance. And here’s the curve with notches. Thee fabric along the seam line has plenty of room now. Giving a perfectly neat curve on the outside. Notches can be done two ways! 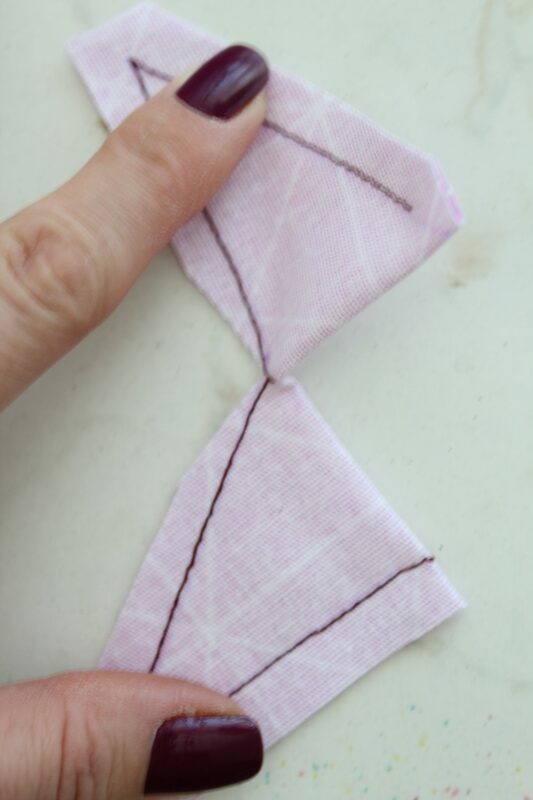 One by one, using your regular scissors or with pinking shears, which will create lots of small v-shaped cuts. The first is more time consuming but more accurate and easier to do. 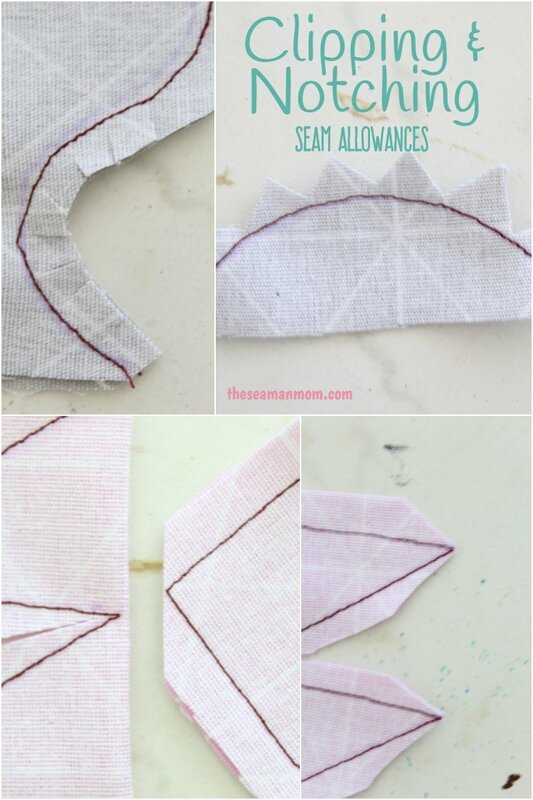 While the second is faster, you will need to cut very close to the seam. And pinking shears require a lot of hand control so you won’t snip through the seam. I personally like and use the first one on majority of my projects. And that’s pretty much all there is about clipping and notching seam allowances. To sum up: use clipping for all types of corners and inner curves and use notching for outer curves only. I hope I helped you learn something new today and if you found my tutorial helpful and informative, please let me know in the comments below. And don’t forget to rate it! Thanks!